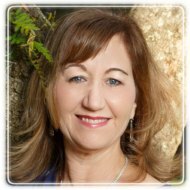 Beaufort Therapist: Carol Erb - Therapist 29902. Session Fees: Please call for fees. Christian marriage and relationship coaching can help you overcome your relationship difficulties. Do you find yourself:·Feeling the absence of intimacy.·Losing sleep at night.·Not able to resolve your differences.·Questioning why your love has not been enough.·Worrying your family is falling apart.·Wishing you could communicate better.·Thinking "God, you could have changed his/her heart. "I would like to help you:·Find balance in your marriage.·Free yourself from worry.·Learn what causes relationship conflicts.·Have satisfying communication.·Discover what you need to have a fulfilling marriage.·Trust that God is working in your circumstances.I remember how bad it feels to have relationship difficulties.I also know how hard it is to ask for help and find someone you trust. Why don’t you call me and see if I am a good fit for you.I would like to help you discover how you can resolve your relationship difficulties. Let's see if we can make it better. Don't go it alone.I would love to hear from you.Please call me at 843-694-1903. I specialize in Christian marriage and relationship coaching & counseling to individuals and couples for the communities of Beaufort, Port Royal, Bluffton, and Hilton Head, SC.For clients elsewhere, location is no problem.I am an e-counselor and I also provide video call or phone counseling to individuals in the US. Call or text 843-379-0288 for a free 10-minute consultation. I look forward to hearing your you!